Letters to the Editor: THE TITANIC AGAIN! (CNN) — If you thought the long-delayed project to launch a full-size replica of the ill-fated RMS Titanic was sunk in the water -- think again. Just like Celine Dion sang back in 1997, the travel project will "go on and on." Australian businessman and politician Clive Palmer, who is behind the controversial initiative, announced in September that work on the ship had recommenced -- after a financial dispute with the Chinese government halted development back in 2015. The idea was first floated in 2012. 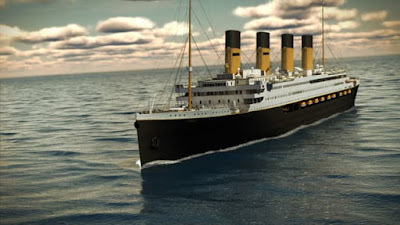 Allegedly the new ship will be an identical copy of the infamous liner, which sank in 1912 following a collision with an iceberg.